What is alopecia and can it be treated? What do Tyra Banks, Neve Campbell and Jada Pinkett Smith all have in common? Beside being glamorous women in Hollywood, they have all experienced alopecia — sudden hair loss that can cause a person to go bald. This can be a shocking thing to experience, especially for women who take pride in their lustrous locks. But what is alopecia? In a nutshell, it is an autoimmune disease that can cause parts of the body to shed hair. It can vary from small patches of hair loss to complete hair loss over the entire body. Currently 147 million people worldwide deal with alopecia — many of them women. For celebrities, appearance is a major part of their brand and who they are. So when alopecia changes their look, it can be devastating. Pinkett Smith has bravely taken to social media to share her experiences battling alopecia. “I was in the shower one day and then just had handfuls of hair in my hands. It was one of those times in my life that I was literally shaking with fear,” she said on an episode of her Facebook talk show, Red Table Talk. Campbell, star of the Scream movie franchise, developed the condition when she was 23. Hair loss is common in both men and women. The average person loses between 50-100 hairs a day, which can ultimately lead to thinning hair, receding hairlines and (primarily for men) baldness. Alopecia is excessive or abnormal hair loss that is caused by factors like genetic predisposition, a hormonal imbalance or an autoimmune condition. Effectively, the immune system will attack healthy hair follicles in error, causing patches of hair loss or complete baldness in the worst cases. 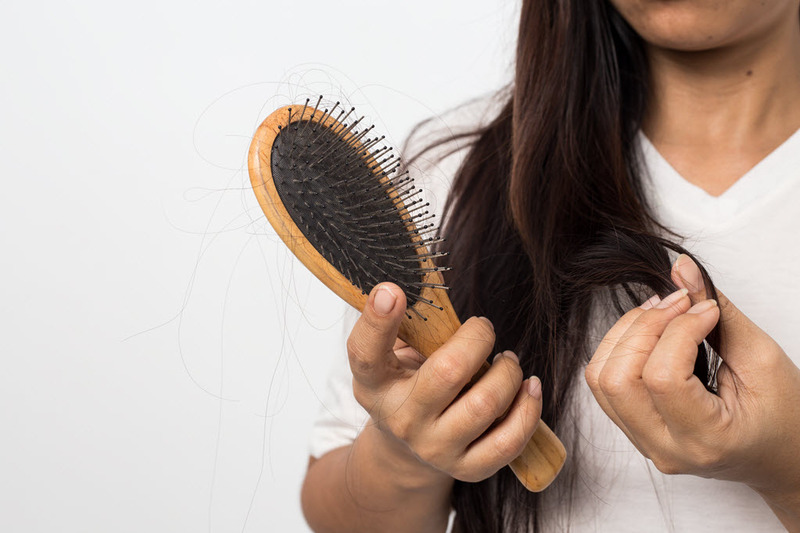 If you are stressed and experience hair loss, it is more likely you have telogen effluvium — a temporary form of hair loss. In these cases your hair will grow back, whereas alopecia can be more permanent. What are the treatment options for alopecia? Alopecia cannot be cured or prevented. However, there is a high rate of spontaneous resolution or recovery. There are various treatment options on the market that can slow or halt hair loss — depending on how extensive the hair loss is. One of the methods is intralesional corticosteroid injections, a treatment traditionally used for pain but which has been found to be effective at reaching beneath the surface of the scalp. There are a range of topical creams and ointments also available. Depending on the severity of the alopecia and the condition of the skin, a dermatologist may recommend ultra violet phototherapy. Oral corticosteroids and immunosuppressive medications are not routinely recommended. The aim of treatment is to block the immune system attack and prevent further hair loss, as well as to stimulate regrowth. But each case is different and sometimes there is no viable treatment. Some people seek psychosocial support to help them accept the change in their physical appearance. Many women may choose to wear a wig, while men may shave their scalp completely. Contact your GP or dermatologist for the best advice on how to combat alopecia.